Rocking on the porch is better when two can rock together! 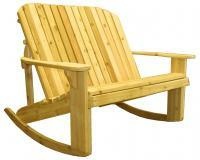 Just like our rocker this glider is the perfect addition to any porch or deck. 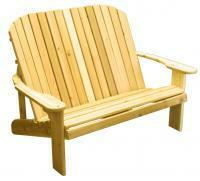 Spend hours relaxing and enjoying the outdoors sitting with your loved ones. 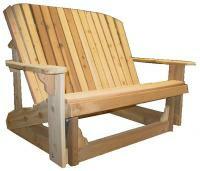 Dimensions: 54" long, 40" tall at back of seat and 37" deep.